On the eve of the international conference Building a Nuclear-Weapon-Free World to be held Aug. 29 in Astana, Christine Beerli, Vice-President of the International Committee of the Red Cross (ICRC) talked to The Astana Times on modern challenges in achieving global nuclear disarmament. on the importance of the continued struggle to ban nuclear weapons and nuclear tests? Like the Republic of Kazakhstan, the ICRC has some fundamental views on nuclear weapons and on how to move towards a world without them. I appreciate this opportunity to share them with you. The ICRC, and the Red Cross and Red Crescent Movement more broadly, have long been concerned about the human suffering that results from any use of nuclear weapons. As is now known, nuclear weapons can have severe and long-term consequences on human health and can even affect the children of those exposed to the ionising radiation released by a nuclear explosion. Information published last year by the ICRC and the Japanese Red Cross Society indicate that today, some 70 years after the dropping of the atomic bombs on Hiroshima and Nagasaki, the Japanese Red Cross hospitals in those cities continue to treat several thousand victims each year for cancers and illnesses attributable to the atomic bombings of those cities. The health of children born to survivors in the years following their direct exposure to the blasts is also being monitored. The fact that thousands of civilian victims still live at risk and still require treatment for illness and suffering attributable to atomic bomb radiation is incomprehensible. This is equally true for the people and plight of Semipalatinsk, where even though the last test was conducted in 1989, the effects continue to be felt. Clearly, these situations must never occur again. Thankfully, nuclear weapons have not been used in an armed conflict for more than 70 years and nuclear testing is now a rare occurrence. Yet, today there remains a significant risk of intentional or accidental nuclear detonation. This includes the risk of hostile use and also a detonation that may occur through malfunction, mishap, false alarm and misinterpreted information. And despite these risks, there remains no effective means of assisting a substantial portion of survivors in the immediate aftermath, while adequately protecting those who will be called upon to deliver assistance. The reality is that if a nuclear weapon were to detonate in a populated area, there would be an overwhelming number of people in need of treatment and most of the local medical facilities would be destroyed or unable to function. Access to the area would likely be impossible due to debris and damage to infrastructure. And assistance providers would face serious risks associated with exposure to ionising radiation. In most countries and at the international level there is little capacity and no realistic or coordinated plan to deal with such challenges. The risk of the tremendous human costs of nuclear weapons led the International Red Cross and Red Crescent Movement in 2011 to appeal to states to ensure that nuclear weapons are never used again. We also called on them to prohibit their use and completely eliminate them through a legally-binding international agreement in accordance with their existing commitments. The ICRC President, Peter Maurer, repeated this call in 2015 and urged states to set a timeframe within which to achieve this goal. While negotiating the prohibition and elimination of nuclear weapons may take some time, the nuclear-armed states and their allies can and should take immediate steps to reduce the risks that such weapons pose by reducing the role of nuclear weapons in their military plans and reducing the number of warheads on high alert, where such a status exists. Unfortunately, 2015 was not a year of great progress in the field of nuclear disarmament. The Review Conference of Treaty on the Non-proliferation of Nuclear Weapons failed to reach a consensus agreement on advancing nuclear disarmament despite previous commitments. There are also reports that the pace of reduction of nuclear arsenals has slowed and that nuclear-armed states continue to modernise their arsenals. Such developments are cause for serious concern. At the same time, it is encouraging that a 2015 United Nations General Assembly resolution on nuclear weapons supported by 139 countries recognised the need to bring about the prohibition and elimination of nuclear weapons and urged all states to works towards this goal. Equally promising were the work and recommendations of the UN Open-Ended Working Group on Taking Forward Multilateral Nuclear Disarmament Negotiations, which just concluded in Geneva. In the view of the ICRC, it was the most significant and substantial discussion to date within the UN system on specific measures to achieve nuclear disarmament. The discussions highlighted that there are a range of approaches that can advance disarmament. Its recommendation for the UN General Assembly to convene a conference in 2017 to negotiate a legally-binding instrument to prohibit nuclear weapons has potentially historic implications. This and the rest of the group’s recommendations must be seriously considered and taken forward by states. 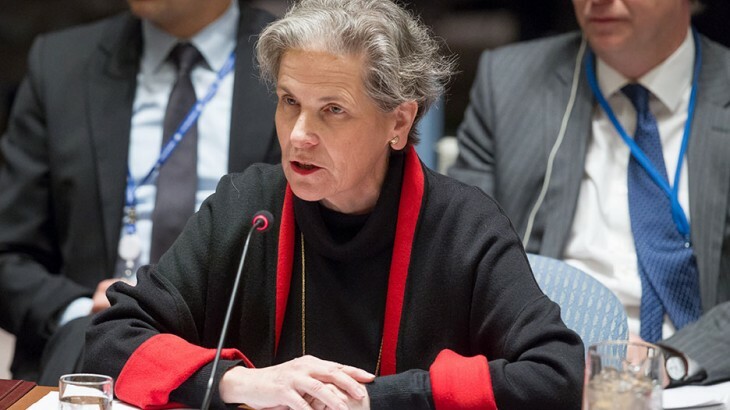 The ICRC believes that urgent action must be taken to reduce the dangers that nuclear weapons pose and that states must begin negotiations to prohibit their use and secure their eventual elimination. This is a humanitarian imperative. Protecting humanity from the catastrophic humanitarian consequences of nuclear weapons requires courage, sustained commitment and concerted action. Today’s complex security environment highlights both the challenges and necessity of such steps. Nuclear weapons are often presented as promoting security, particularly during times of international instability. But weapons that risk catastrophic and irreversible humanitarian consequences cannot seriously be viewed as protecting civilians or humanity as a whole. We know now more than ever before that the risks are too high, the dangers too real and perils of inaction are much too great. How, in your view, do events like the Building a Nuclear-Weapon-Free World conference in Astana help in pursuing the goals of nuclear disarmament and nonproliferation and the ICRC’s mission? On behalf of the ICRC, I would like to thank the Republic of Kazakhstan for inviting me to participate in this important event. Kazakhstan has shown in word and in action that it is an ardent advocate of nuclear disarmament and non-proliferation. Its commitment is reflected in the convening of this annual conference, its decision to voluntarily renounce the nuclear weapons it inherited upon gaining independence, its role in establishing Central Asia as a Nuclear Weapons-Free Zone, its membership in the Asian Nuclear Safety Network and its efforts in the UN and numerous other fora to help advance the elimination of nuclear weapons. Kazakhstan’s election as at non-permanent member of the UN Security Council for 2017 provides an opportunity to further these goals. Events like the conference in Astana are very important to raise awareness of the humanitarian consequences of nuclear weapons and the need to ensure that such weapons are never used or detonated again. They also help foster dialogue among states in an effort to help advance nuclear disarmament. The upcoming conference is a key part of the international dialog on nuclear weapons, particularly in this region of the world. It builds upon previous and important events like the Review Conference of the Treaty on the Non-Proliferation of Nuclear Weapons, which was held in New York from April 27-May 22, 2015;the Conferences on the Humanitarian Impacts of Nuclear Weapons, convened respectively by Norway in March 2013, Mexico in February 2014 and Austria in December 2014 and the UN Open-Ended Working Group on Taking Forward Multilateral Nuclear Disarmament Negotiations which I mentioned earlier. The conference is also part of the ongoing and effective efforts of Kazakhstan on this issue. Kazakhstan’s political and legal initiatives on nuclear weapons clearly demonstrate its high level of commitment and determination to advance nuclear disarmament. These important efforts, and those taken by others in partnership with the broader international community, will help ensure that a world without nuclear weapons will become a reality. The elimination of theseweapons is particularly important to actors such as the ICRC, given our humanitarian mission. We never again want to see a nuclear weapon detonate nor ever again have to witness or respond to their horrific humanitarian consequences.